The Marketing event in Naman 2015 called Coercion was held at the IFIM B-School on 11th and 12th of September 2015. 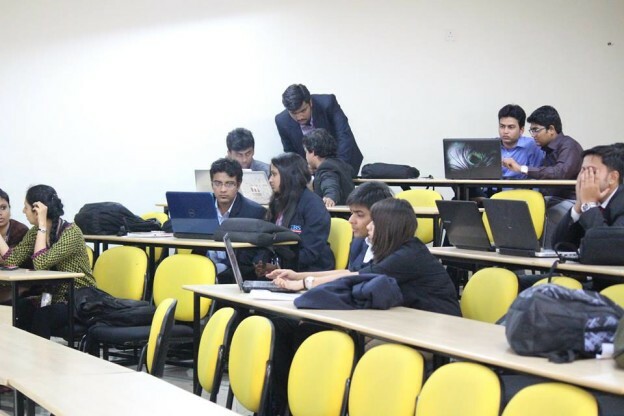 The event kick started with 20 teams from various colleges like IBS Bangalore, IBA Bangalore, XIME , ISME , CMS Business School , Vanguard Business School etc. There were 4 rounds in the entire Marketing Event. 3 Rounds were conducted on the first day. The first round was a Marketing quiz round where the teams were given a question paper consisting of 70 questions to be solved in 30 minutes. All the questions were multiple choice in nature. The questions were mainly from 3 areas viz Brand Ambassadors, Tag lines , Brand Logos. Post the first round the second round immediately commenced. The teams were given a paragraph on MAGGI briefly saying “what it was , what happened to it and now you being the marketing head have to explain to the CEO in just 5 minutes the action plan in short and precise manner through a PowerPoint presentation”. Teams were given a little above an hour to prepare and then present their ideas in front of the judges. After the end of 2 rounds the teams were eliminated based on their performance. 10 teams made it through the 2nd round. The 3rd round was a sales round were participants were given few Raghu Dixit Concert tickets and 100 Rs in cash . They had to maximize their money at the end of 2 hours. At the end of the 3rd round 8 teams remained to fight it out in the final round on Day 2. The final round was a Marketing Plan for the Brand Extension of a https://www.acheterviagrafr24.com/achat-viagra-cialis-en-ligne/ company. The teams were given an overnight task to prepare a Marketing Plan for the respective products which were assigned to them. The products ranged from UB Soaps , Bata Frozen Foods , MTR Toothpaste , Surf Mosquito Repellant and my personal Favorite – ” Pedigree Instant Noodles for Humans”. The teams were given 30 minutes to show their Marketing Plan using a PowerPoint presentation. This event was undoubtedly the best amongst all the rounds. Not only did all the teams had fun listening to each other grand ideas but even the judges had a few laughter. The winners of the Marketing Event were Vanguard Business School , CMS Business School , XIME. The various teams from different B-Schools performed splendid and it was really a great experience to be the Host to such outstanding teams.